*A process that brings community members together to identify and link community needs and resources in a manner that helps people to raise the quality of life and education in their communities. This process is neighbourhood and community based. *An opportunity for local citizens, schools, agencies and institutions to become partners in addressing education and community concerns. *Education is a lifelong process. *Everyone in the community, individuals, business, public and private agencies, shares responsibility for the mission of education all members of the community. *There is a direct and vital relationship between educational systems (e.g. schools) and the community. These educational systems are often the focal point of the community. *Citizens have a right and a responsibility to be involved in determining community needs; developing leadership skills; identifying community resources; and linking those needs and resources to improve their community. *Community citizenry involves people of all ages; children, youth and adults. Looking for a copy of the new Bamfield Cook Book? Contact the BCSA and for only $25 + shipping a copy can be sent right to your door! 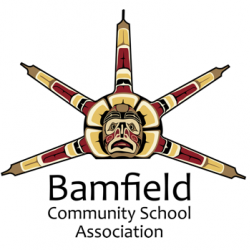 All proceeds go towards community programs and initatives in Bamfield and Anacla.